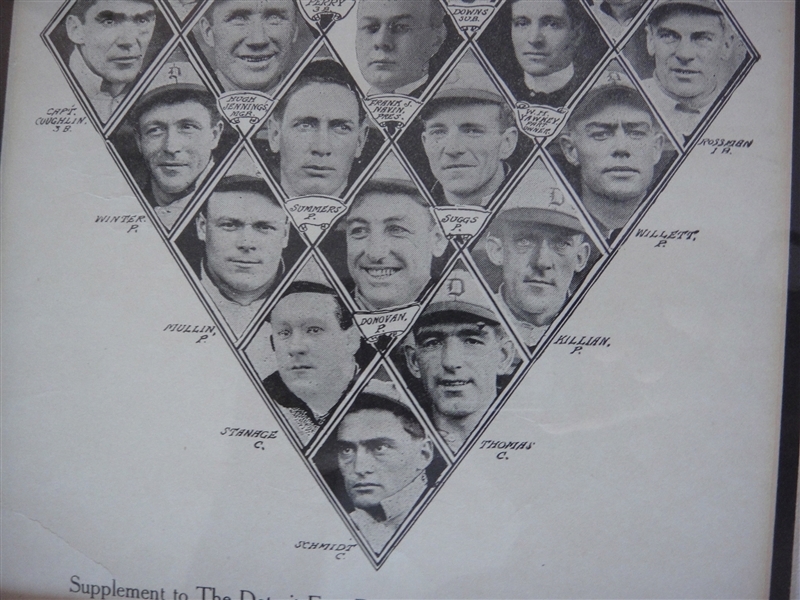 Very scarce 1908 Detroit Free Press Detroit Tigers Supplement with a young Ty Cobb. One of only two that could be found in an internet search, this the same one that last sold in REA May 2009. 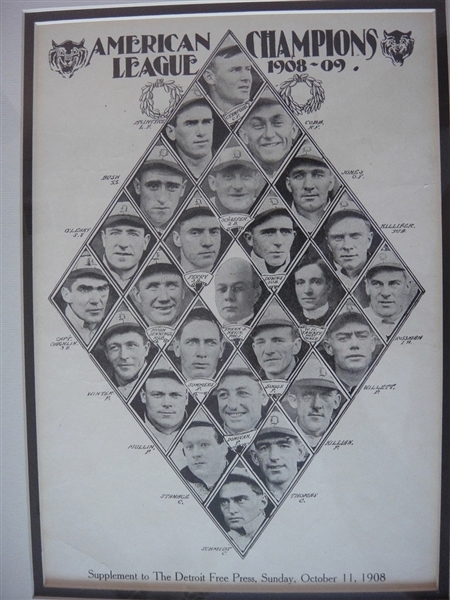 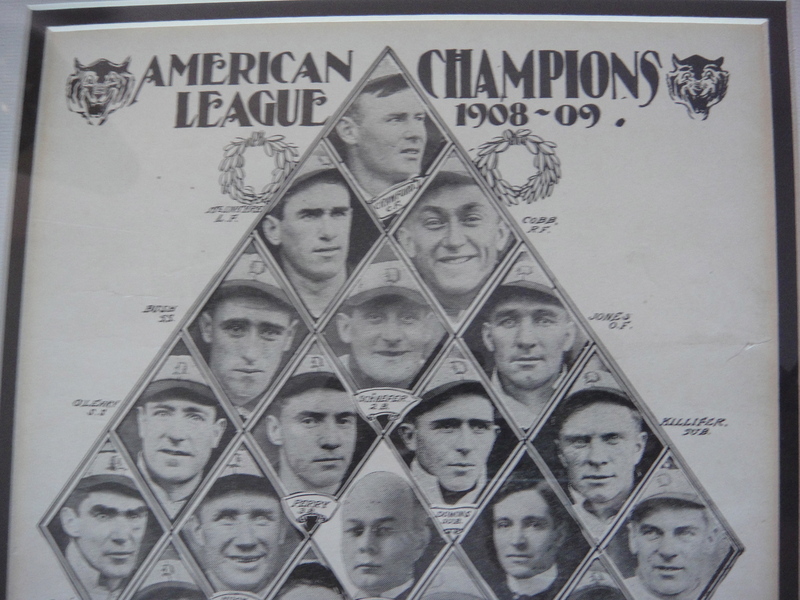 Many, many great early Tigers in this piece, including Jennnings, Crawford, Donovan, Schmidt, Jones, Schaefer and others. 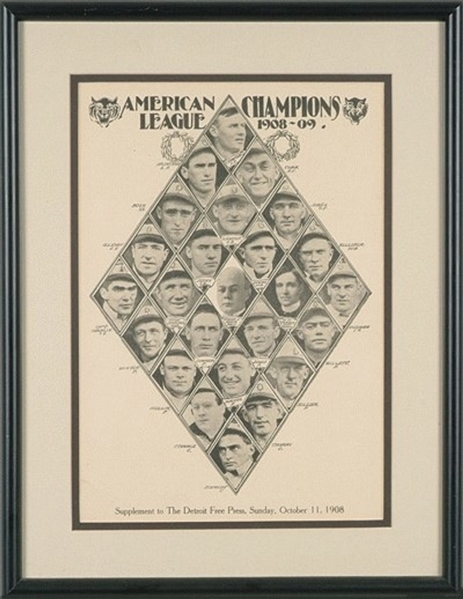 Professionally matted and framed, comes exactly as it did nearly ten years ago, how much the value of Ty Cobb has risen will affect this piece is up to the lucky winning bidder. Very nice condition with no major detriments.